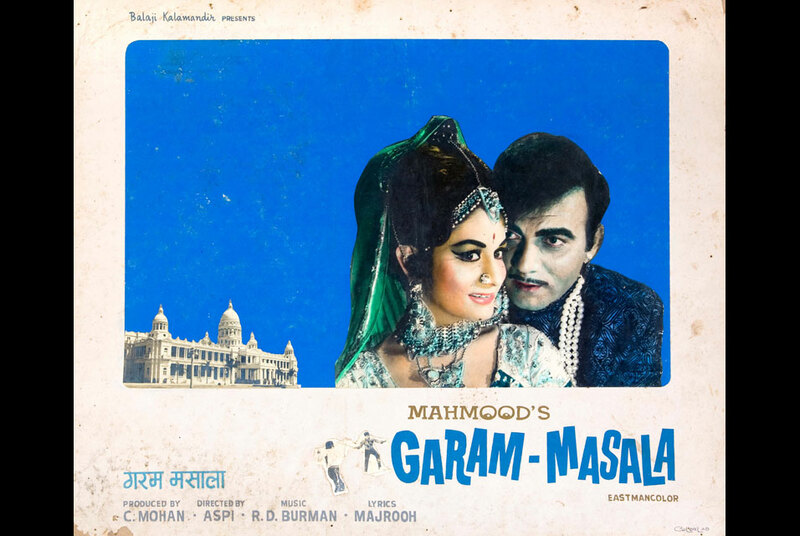 Garam-Masala (Hot Mixed Spice), 1972. Color Lab. Mumbai, India. Tinted and untinted gelatin silver prints on colored paper on board with screen printed lettering, 50 x 60cm. Courtesy of the Hartwick Collection. TORONTO.- The Institute for Contemporary Culture (ICC) at the Royal Ontario Museum (ROM) presents the North American debut of Bollywood Cinema Showcards: Indian Film Art from the 1950s to the 1980s, a visual journey through the history of Bollywood advertising. Curated by Deepali Dewan for the ICC at the ROM in collaboration with the Hartwick Collection, Bollywood Cinema Showcards will be on view in the special exhibitions gallery on Level 3 of the Museum from June 11 to October 2, 2011. Bollywood Cinema Showcards embodies the quirky and colourful style of Indias cinematic culture with a display of rare, vintage showcardscolourful hand painted photo collages commissioned to advertise the release of Bollywood films, originally exhibited in display cases outside cinema theatres. The exhibition features over 120 works, including 77 original showcards from the private collection of Angela Hartwick and a selection of posters, lobby cards and film booklets from the ROMs permanent collection. The installation will be organized chronologically, tracing the aesthetic and thematic evolution of Bollywood graphic design as seen in its advertising, from the years after Indias independence in 1947 through the liberalization of Indias economic policies in the early 1990s. The exhibition coincides with another North American debutInternational Indian Film Academy (IIFA) Awards in Torontoproviding an interesting historical context to modern day Indian cinema. Bollywood Cinema Showcards also contributes to the national celebration of 2011 as the Year of India in Canada, as designated by a bilateral treaty between India and Canada. To celebrate Bollywood Cinema Showcards, the ROM will install a 15 x 36-ft. billboard titled Bollywood Hero, a theme that focuses on the recurring role of the male hero in most Bollywood films. Commissioned specifically for the Museum from Suresh Sandal Arts, a studio in Bombay, India, the work of art will be installed in the Hyacinth Gloria Chen Court and will remain on view until October 2, 2011. Following the exhibition it will reside in the ROMs permanent collection.